LJP has a large equipment fleet at the cutting edge of technology worth over $75 million, enabling us to undertake every project more effectively. We are proud of our unbeatable reputation as well as the numerous merits we have earned for our audacity, thoroughness and quality throughout the years. 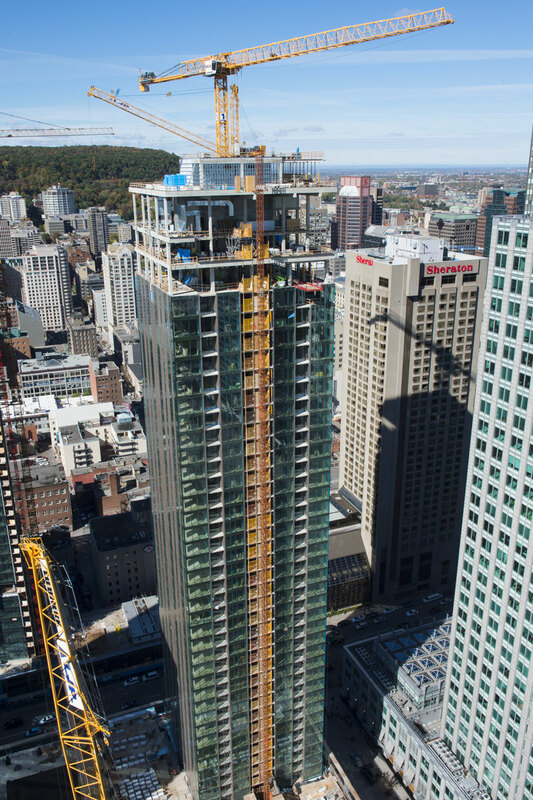 For over 40 years, we have worked on the majority of the most important projects in Montreal, proving our expertise in the field. LJP has its own team of experts for the assembly and dismantling of tower cranes. LJP is the only formwork company with a large fleet of LIEBHERR tower cranes. The diversity of our fleet allows us to choose the type of tower crane that best suits your project. We have "Flat-Top" type cranes, a lifting jib type and even a DERRICK DR200 5-10. We can also combine these cranes with our climbing systems from the bottom or with our telescopic cage. LIEBHERR cranes are the only tower cranes with the level 3 safety rating, representing the safest cranes. LJP is the only company in Canada with a Derrick crane. LJP uses the Derrick crane as a complement to its range of boom cranes. The Derrick crane is specially designed for the dismantling of cranes on buildings or in high ceilings. It allows to remove the tower crane more quickly and thus recover the interior space of the building left by the tower crane. 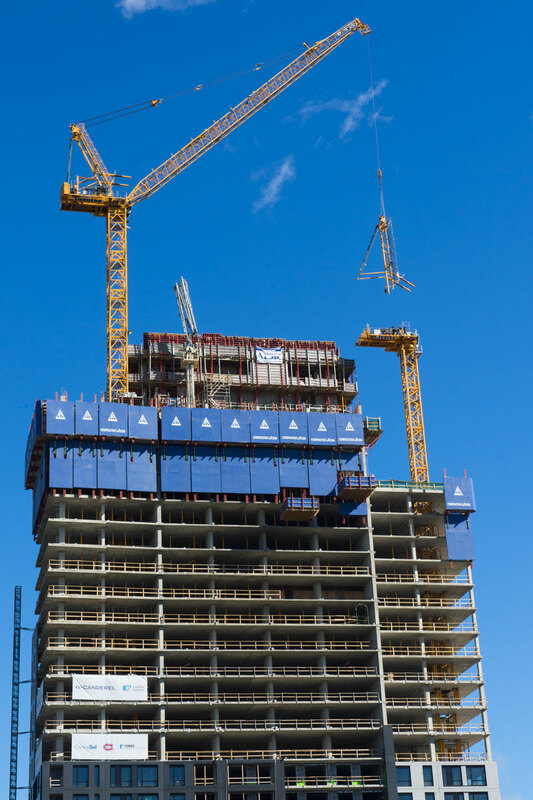 The DERRICK crane is much safer and allows easier logistics versus a mobile crane (no need for a street permit, temperature and winds of no consequence).